Ducati XDiavel price in Pune starts from Rs. 16.41 lakh (Ex-showroom). XDiavel is available in only 2 variant. The top-end variant Ducati XDiavel S is priced at Rs. 19.10 lakh. Share your experiences with XDiavel? Q. Which is best for comfort, riding, style and smooth riding between Diavel, XDiavel and Hayabusa? Q. 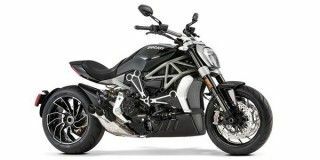 What is the difference between XDiavel and Diavel? I'm really confused. Q. Want to purchase super bike, confused between Hayabusa and X Diavel. If you're looking for a super fast, yet very comfortable sports tourer, we would suggest you to opt for Suzuki Hayabusa.